Anomaly: The Rubicon continues the adventure that began with Anomaly, but it is easily accessible to new readers with new stories centered around characters from the original work. This is a futuristic epic of adventure, discovery, and what it means to be human in a world dominated by technology and bureaucracy. In the original work, a diverse group of explorers journeyed to a remote place known as Anomaly, a bizarre world that seemed to defy all expectations of planetary development and evolution, but it was a voyage form which they were never meant to return. The mission survivors discovered shocking secrets behind the planet's origins, and why the Conglomerate, which is the all-powerful hegemony that rules human-controlled space, wanted these secrets to remain hidden. Half a galaxy away and presumed dead, the survivors will now bring the fight to those who sent them off to perish. Captained by Jon, a veteran soldier in search of redemption for his past, and inspired by Samantha, who's a wealthy elite citizen with dreams of a more just society, they are determined to expose the dark secrets that keep the Conglomerate in power. Jon and Samantha will make their stand at a place called the Rubicon, a planet-wide display of power, wealth, and military might. It's a showy and decadent high-tech carnival where the latest killing machines are paraded before the public and where citizens are entertained by gruesome blood sports. Here, they will have one chance to make a push against a system that's ruthless about pushing back. As with the original work, this truly expands the frontiers of storytelling with its unique AR capability, accessed through a free app downloaded to the reader's smart phone or tablet. 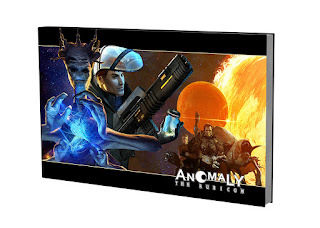 Readers can view interactive images, bonus scenes and explore the Anomaly universe with an intensely detailed appendix/encyclopedia - all by simply interacting with the physical book using the app. 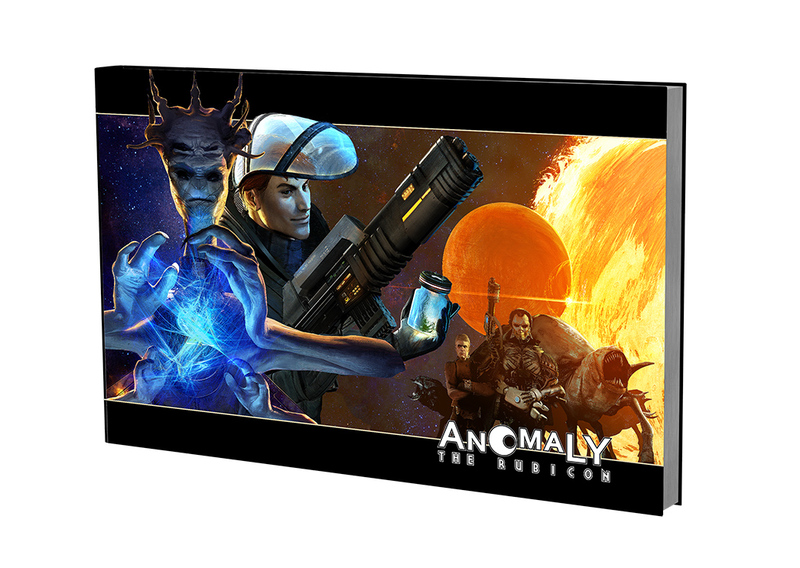 Anomaly: The Rubicon is innovative in the sense that it is the only graphic novel that will have additional content after it's published, including new scenes, new developments, "making of" demos, and reader contests. The physical book itself is a a triumph and an incredible production, and one any sci fi fan should have on their shelves. It is hardcover, 264 pages in length, and 15 by 10 inches, presented in a horizontal letterbox aspect, rather than the standard vertical aspect, for an immersive, movie-like "widescreen" experience. There is fully painted digital art and state-of-the-art color printing so rich and dazzling the images jump off the page. It will be interesting how Brittenham and Haberlin keep using advances in technology in ensuing Anomaly works.